All too often, eye health is ignored, despite the amazing amount of information they provide to the brain. August is National Eye Exam Month, so it’s an excellent time for people of all ages to recall when their last appointment was and see if they are current. Family caregivers should focus on their aging loved one’s eye health by scheduling an exam as soon as possible. Elderly adults can really benefit from annual eye exams because they are at the greatest risk of developing eye diseases. 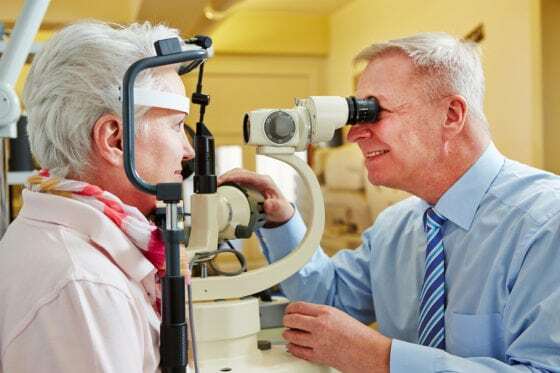 It may seem like regular eye exams for seniors are not necessary, especially if they aren’t noticing any problems and their eyewear is just fine. However, certain eye diseases don’t have any observable symptoms that people can notice. Only a trained professional can spot some of the early symptoms via an eye exam. Experts recommend that adults get an eye exam at least once per year. However, some eye doctors may want to see elderly adults more frequently, especially if they have a family history of an eye disease. Also, many eye diseases are age-related, so seniors have a much higher risk of developing conditions that, without treatment, can lead to poor eye health and even blindness. Glaucoma: Eye pressure from fluid buildup can damage the optic nerve. Cataracts: The lens of the eye clouds up and restricts vision. Macular degeneration: Central vision is affected by a damaged retina. Diabetic retinopathy: Blood vessels within the eye become damaged due to high blood sugar. When the eye doctor sees any symptoms of one of these serious diseases, they can recommend a more effective treatment plan. Without treatment, the diseases won’t be noticed until they have progressed greatly and have already caused a lot of damage. In that case, treatment is much more difficult and less effective. Family caregivers and home care providers play a large role in getting the aging adult to their eye exam. 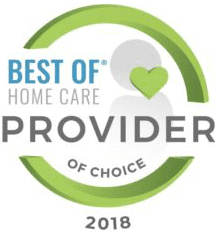 Most cities and towns have at least one eye clinic nearby, so it may be that home care providers have to make special arrangements to drive the aging adult to their appointment. A thorough eye exam includes dilation, so seniors should never drive themselves home from an appointment after such a treatment. Thanks to National Eye Exam Month, family caregivers everywhere have the information and tools they need to realize how important it is to get their elderly relative an annual eye exam right away. Their eye health is far too important to ignore because every senior deserves the best vision possible to keep their quality of life.